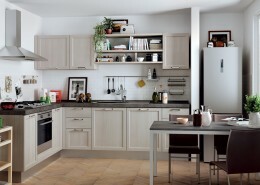 Scavolini always offers you something more! 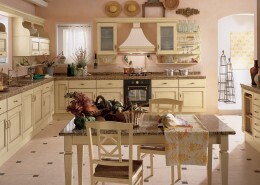 Discover our new Italian style furnishing ideas for kitchens, bathrooms and living rooms. 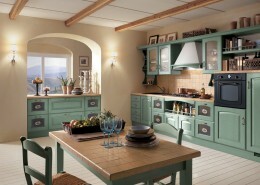 Welcome to our inspirational and stylish world of kitchens. 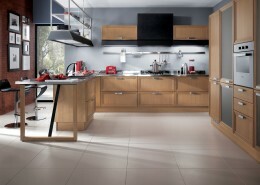 Our collections are innovative, distinctive & elegant, we have the perfect kitchen to suit every style and budget. Choose from our wide range of appliances, worktops & accessories to complete the look, with so much choice and incredible value for money Luxe really can make your dream kitchen a reality. 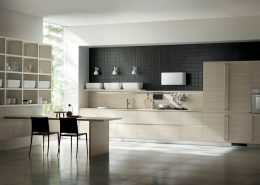 The Scavolini line allows a tasteful, rational take on all spaces. 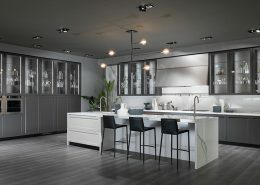 Thanks to a wide range of products, Scavolini takes up different styles and desires, including those of the public who wish to make their own home unique through design. 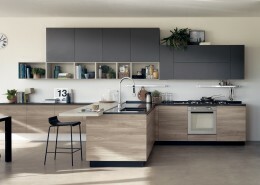 Excellent quality, straightforward modularity, multi-faceted design and reasonable prices: these characteristics define the Scavolini Basic line. 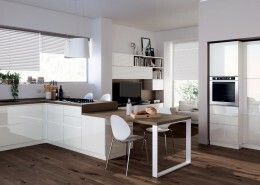 Beautiful, quality kitchens that are affordable at the same time, enhancing the company’s already extensive product range. 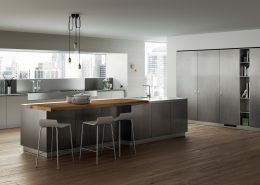 A line of kitchens designed and produced by Scavolini, for the pleasure of a product with a finely tuned quality-to-price ratio, rethought in terms of simplifying materials and technical solutions adopted. Without compromising on the quality guaranteed by the brand. 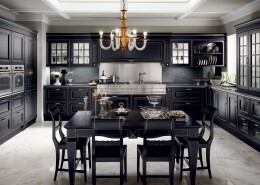 Why are our luxe kitchens so popular? 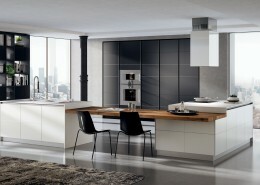 Luxe kitchens are about design, quality, value and functionality seamlessly blended together. 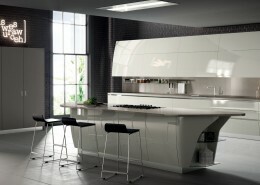 Our kitchens have a breathtaking ‘wow factor’ that comes from beautiful & unique luxury design. Quality and value is at the root of our popularity: a Luxe kitchen will last, the hinges won’t pack in after a couple of years and your worktops won’t delaminate through everyday use. 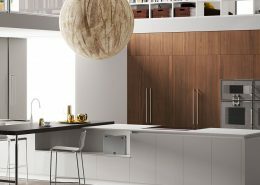 People buy with confidence because they know that the streamlined manufacturing processes guarantee a quality luxe kitchen at an affordable price every time. 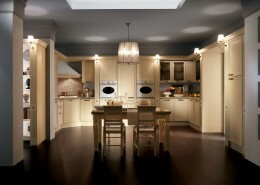 Why choose our Luxury Kitchens? 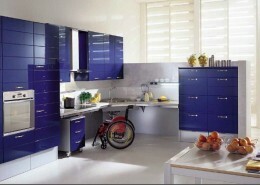 We pride ourselves in offering only the very best in design, quality, value for money & service. 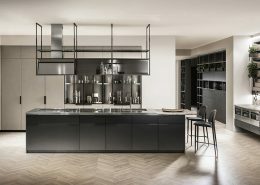 Our highly experienced staff are truly experts in the luxury kitchen field where you will receive a ‘one-to-one’ service from the initial design right the way through to completion. 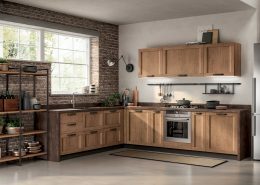 You will find a selection of over 500 doors to choose from with a wide range of storage solutions and appliances to complete every kitchen. We are so confident in our kitchen build quality that we are happy to continue our 5 year guarantee on all kitchen units sold! 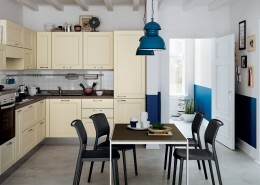 For Scavolini, quality means using reliable, robust materials in a design which lasts, so that the price of the product reflects its real value. 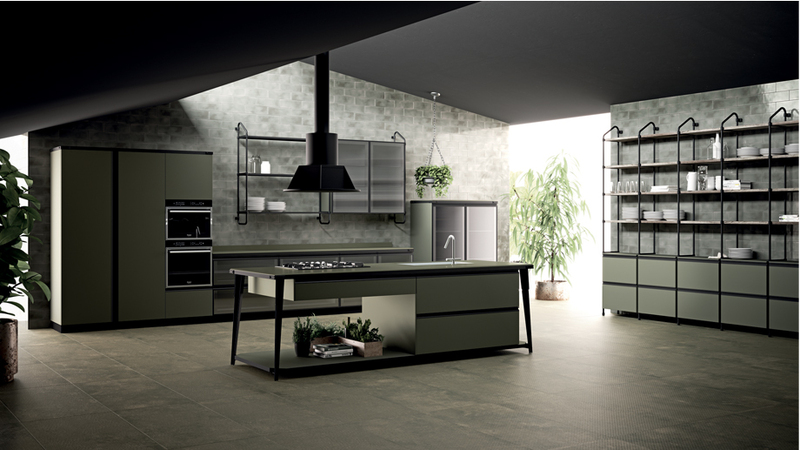 One of the greatest benefits of choosing a well-known brand like Scavolini is in the certainty of the quality of the kitchen, afforded today by technology, materials and a sophisticated industrial process. 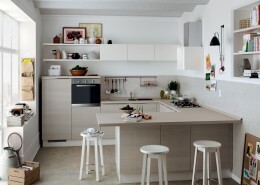 Scavolini pays great attention to the product, to ensure the customer’s satisfaction, a policy implemented at all company levels: design, production, training, laboratory tests and checks, careful selection of suppliers and a lot more. 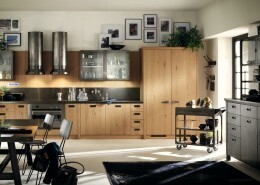 Scavolini, always quality-oriented, adopts a series of measures to guarantee the characteristics of its products. Some of these can be checked by specific visual inspections. Others require specific laboratory tests to check performance. 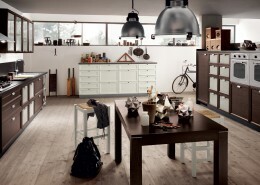 Scavolini carries out over 600 laboratory tests each year on products and materials. These tests are carried out both internally, in our own well equipped test laboratory, and externally, at major testing centres. 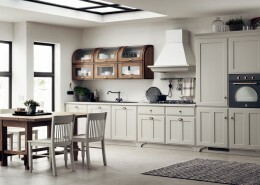 Scavolini has been Italy’s leading kitchen brand since 1984. 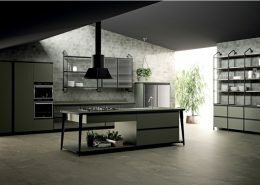 A large industrial concern, capable of organising a complex production process that enables it to create kitchens of high quality value for households of all cultures and taste, at competitive costs, it is the company that best succeeds in satisfying the consumer’s most varied, concrete demands in terms of styling, functionality, safety and durability: qualities recognised and appreciated by many households, for whom the Scavolini brand offers the best furnishing opportunities together with highly reliable contents. 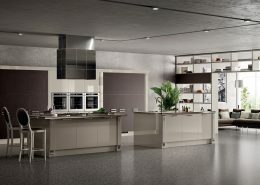 With more than 50 years on the kitchens market behind it, Scavolini is one of Italian industry’s most modern, important production models, and its brand strategy continues to be rewarded with impressively large figures, and growing success at the international level. 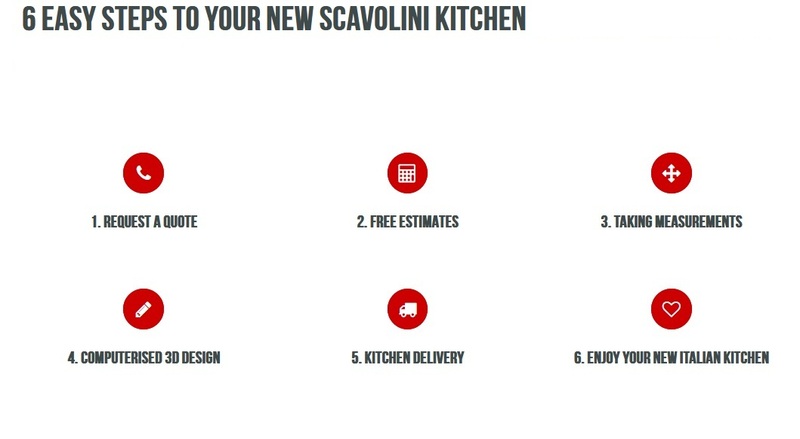 To allow you to make an initial selection, Scavolini has created a general kitchen furniture catalogue, full of ideas and solutions. 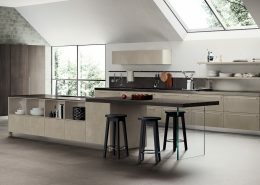 The Scavolini Kitchens catalogue, complete with all the new Scavolini items, will allow you to appreciate the wide range of models in terms of styles and finishes on offer from Scavolini Kitchens.